2” pot. 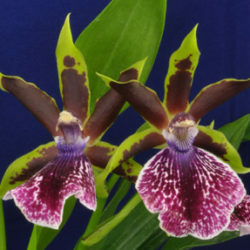 This hard-to-find Central American species is easy to grow and bloom. It has fat, elongated pseudobulbs topped by thin, broad leaves. 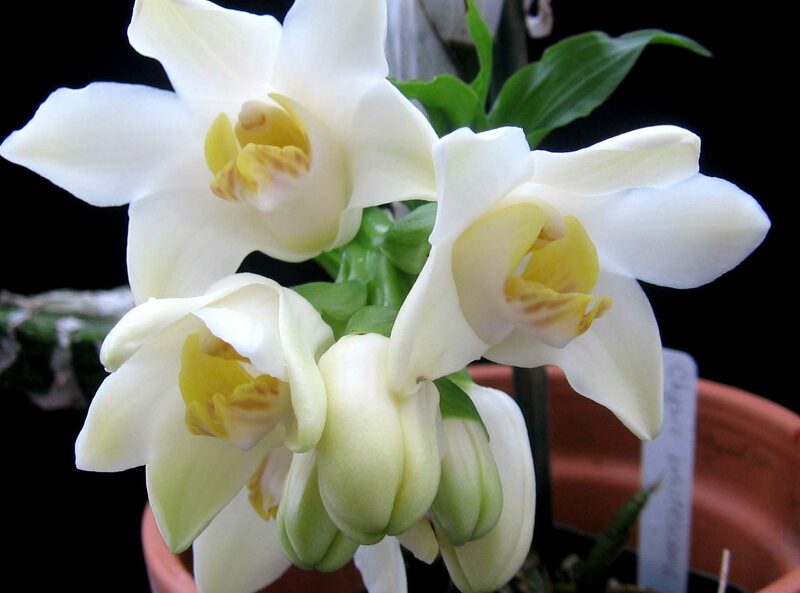 It blooms in spring with arching sprays of many closely-spaced fragrant, waxy, long-lasting light cream-colored flowers with yellow lips that resemble fleshy cattleya flowers. 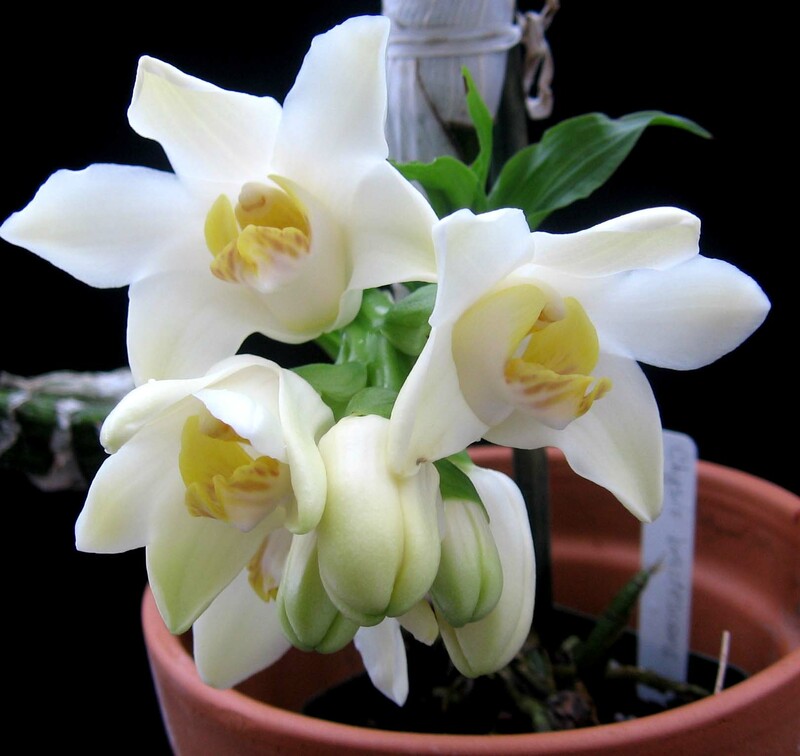 The plant eventually needs space and support because the pseudobulbs tend to stack rather than spread, or it can be grown mounted, in which case the canes are pendant. Beautiful species is rewarding to grow. Young seedlings.